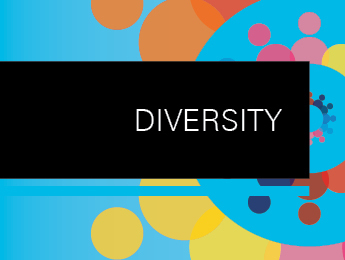 Shepherd and Wedderburn is committed to diversity within the organisation. The firm participates in the SRA (Solicitors Regulation Authority) annual Diversity in the Legal Profession survey. We collected responses from all employees on an anonymous basis. You can find the results of the survey findings here. Completion of our diversity questionnaire is an integral and essential part of our recruitment procedure. Information collected from the questionnaire will be used for monitoring purposes only. It can be viewed here. At Shepherd and Wedderburn we are committed to fostering an inclusive culture because we believe our clients, colleagues and business are best served by a diverse workforce, with the multiplicity of experiences, ideas and perspectives this brings. In accordance with the Equality Act 2010 (Gender Pay Gap Information) Regulations 2017, our gender pay gap report can be found here. Our work in promoting equality and diversity in the workplace goes on and we look forward to sharing our further achievements in this area with you. Fostering a diverse and inclusive workplace does not happen overnight – but we can all of us use our experiences and respective roles to influence change. We hope you join us in using LGBT History Month as a time to reflect on the everyday steps we can take to make a difference. Partner and Head of the Banking and Finance team Fiona Buchanan on the benefits of mentoring and how it has been implemented at Shepherd and Wedderburn. The public controversy surrounding Laurel Hubbard, the first transgender athlete to compete at a Commonwealth Games, has brought into sharp focus the complexities of gender identity in the context of professional sport. I joined the legal profession in the 1980s at a time when women were in the minority, and rare creatures indeed, in what was then a broadly male-dominated corporate sector. The corporate world then was one that embraced an extremely macho culture. That said, I was also extremely lucky at the time to work for a firm that was progressive enough to recognise effort, commitment and ability as being the qualities that really matter. As we look forward to the challenges and opportunities of the year ahead, we wanted to highlight some of the work that the Shepherd and Wedderburn LGBTIA group undertook in 2017 and our key priorities for 2018. As we enter autumn, the Shepherd and Wedderburn LGBTIA Group continue to be busy with members attending external events, receiving training and planning upcoming activity.